PATRICK DILLON was born in London in 1962. Awarded a scholarship to Trinity College, Cambridge, he instead studied architecture in London, and qualified as an architect in 1987. His two crime novels, Truth and Lies, were published by Penguin in 1996 and 1997. 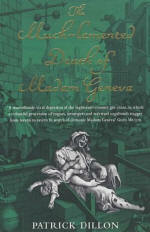 In 2002 he combined long-standing interests in history and London with his acclaimed study of the Eighteenth-Century Gin Craze, The Much-Lamented Death of Madam Geneva, published by Headline. Based on lengthy research into original archives, court records and newspapers, Madam Geneva painted a vivid picture of crime, politics and social upheaval in Hogarth’s London. It appeared in the USA in 2003. In 2005 he followed Madam Geneva with The Last Revolution, published by Jonathan Cape. 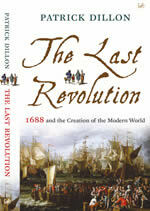 The Last Revolution was a wide-ranging study of the Glorious Revolution and its aftermath, placing political upheaval in its broader social, economic and intellectual context and drawing on the vivid testimony of letters, diaries and contemporary documents. His most recent book, published by Walker Books in 2010, is The Story of Britain, a single volume history of Britain for young people. The Story of Britain tells history through its stories, from Alfred burning the cakes through to the Blitz, and weaves them together into a complete chronological narrative of the people of Britain and Ireland. An American edition by Candlewick will follow in 2011. 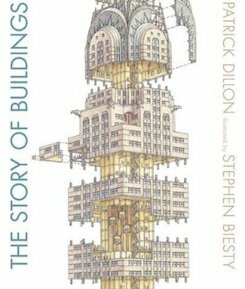 Patrick’s next book, also for Walker, will be The Story of Buildings, a history of buildings and architecture in collaboration with the artist Stephen Biesty. 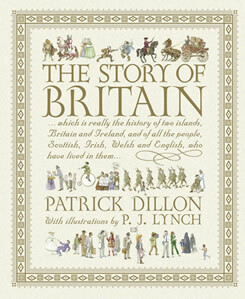 Patrick Dillon appeared in Channel Four’s history of London, London : A City In Time. He has made many radio broadcasts, including appearances on Woman’s Hour, PM, News Hour (World Service), The Robert Elms Show, The Brian Morton Show, The Gyles Brandreth Show, and, in the USA, All Things Considered (NPR), and The Todd Mundt Show (NPR). He has regularly commented on historical and social issues for PM and the World Service News Hour. His articles have appeared in The Sunday Times, BBC History Magazine and History Today. Platform appearances have included the Edinburgh Book Festival, The Women’s Library and Bath Children’s Literature Festival. 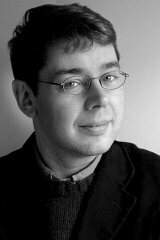 Alongside his writing and broadcasting interests, Patrick Dillon works as an architect specialising in historical buildings. He restored the Benjamin Franklin House, near the Strand, led the team regenerating Snape Maltings, home of the Aldeburgh Festival, and is currently working on the masterplan for the National Theatre in London. Patrick Dillon lives in Kennington with his wife and two children. I moved to Andrew Lownie after a most unsatisfactory experience with another agent. Andrew has been invaluable in shaping my career. He has an uncanny instinct for good book ideas and is tireless in helping authors get their proposals into the very best shape. His contacts are unmatched, he has tremendous knowledge of the industry and its various trends, and is brilliantly creative in thinking laterally about TV, radio and other angles. Andrew has delivered a series of exceptional deals for me, and his advice on directions for the future is always sound. He has been a fantastic support and motivator in my career. Laurence King have bought world rights in Patrick Dillon’s The Story of People, which follows his Story of Britain and Story of Buildings, and through fifty short stories narrates our history from the beginnings of farming and pottery through to the internet. 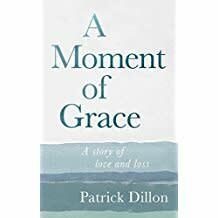 World English rights in Patrick Dillon’s moving account of the death from leukemia. of his wife the theatre producer Nicola Thorold A Moment of Grace have been bought by Ebury for publication in May. 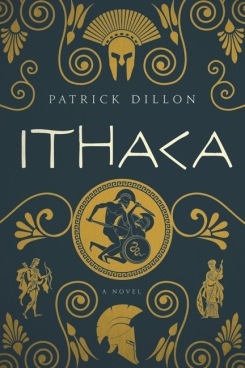 Patrick Dillon’s new novel Ithaca, an imaginative retelling of the Odyssey, has had another terrific review, this time from Booklist. Patrick Dillon’s new historical novel Ithaca, an alternative retelling of the Odyssey, has had a great review from Publishers Weekly. Patrick Dillon’s new historical novel Ithaca, a reworking of the Odyssey from Telemachus’s point-of-view, has been sold to Pegasus Books, in a deal for World English rights. Congratulations to Patrick Dillon whose The Story of Buildings has been shortlisted for the 2015 English 4-11 Picture Book Awards. The winners will be announced at a presentation at the British Academy on 27th May. More details here.